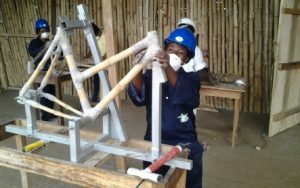 A university graduate recognized the potential of wild bamboo growing around her hometown of Kumasi, Ghana, and sought to harness this resource to produce bicycles. The result: many new jobs for unemployed and marginalized youth. Youth unemployment is high in Ghana with only an estimated three percent of all 15-24 year olds in formal employment. The vast majority are economically inactive or forced to work in the informal sector, consigned to a life of low pay, poverty and constant job insecurity. The consequences: a ‘lost generation’ whose frustrations threaten to generate depression, delinquency, and instability. 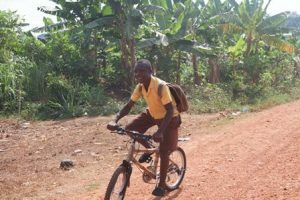 Bamboo bikes provides employment opportunities for disadvantaged youth in Kumasi. But, Bernice could see an opportunity that no-one else noticed: the bamboo growing close to her home town of Kumasi in the Ashanti region of Ghana. She knew the benefits of bamboo and recognized its potential for generating economic opportunity. Reflecting on her situation and that of so many of her young compatriots, she decided to act. As a cheap form of transport and a response to demand in the local market, Bernice and her colleagues saw potential – producing strong, lightweight bicycles made from bamboo. Soon the firm ‘Ghana Bamboo Bikes’ was born. Adopting a social enterprise model, they identified disadvantaged and marginalized youth around Kumasi, and offered them a second chance and an opportunity to change the direction of their lives. 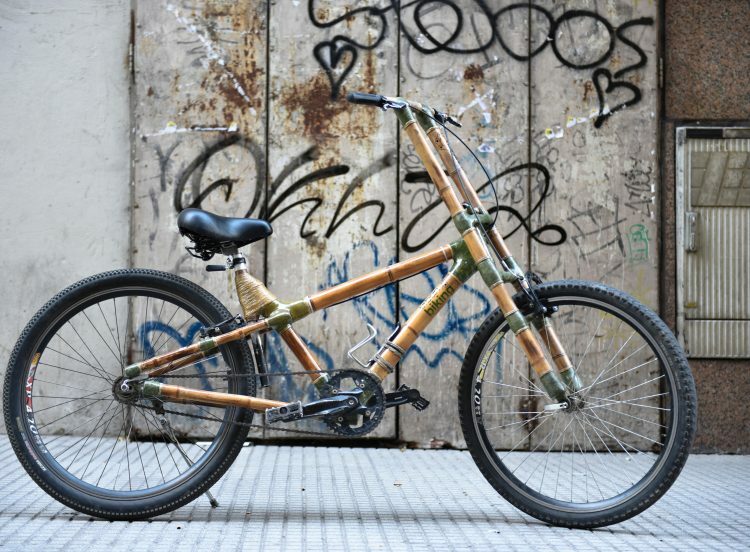 Bamboo bikes are resilient and ideal for long rides and rough terrain. Bamboo also brings practical and environmental advantages. On the practical side, the plant has ‘vibration-damping’ qualities that strengthen a bike’s suspension and ability to absorb shocks – an advantage for long journeys and tough terrain. Its environmental credentials are strong because the plant’s fast-growing nature means it sequesters carbon at rates comparable to – or even greater than – many tree species, and can restore degraded lands and reduce soil erosion quickly. Because bamboo is a viable alternative to wood, it also reduces pressure on Ghana’s already fragile forest ecosystems. The country has one of the highest deforestation rates in the world and estimates suggest Ghana’s forests are being lost at a rate of two percent every year. Finally, bamboo provides a more sustainable alternative to steel, aluminum and titanium, which all require significantly higher levels of energy during production. The social and environmental benefits generated by Ghana Bamboo Bikes has sparked significant interest overseas. The initiative was awarded coveted international prizes, including an award at the United Nations and recognition at the body’s highest level, from Secretary General, Ban Ki Moon. This has generated significant international exposure, and offers from prospective export agents came flooding in. Not long after, Bernice was supplying her bamboo bikes to more than 20 countries in Europe and North America. Ghana Bamboo Bikes have received widespread recognition and sales in Europe and North America are rising. 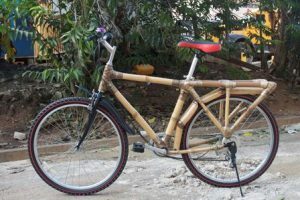 This market boom raises the question of capacity: how can Ghana Bamboo Bikes ensure a reliable supply of quality bamboo to meet growing demand? And as they continue to grow, is there enough resource nearby to meet this need? In response, Bamboo Bikes planted more bamboo. 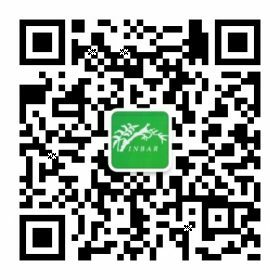 It expanded its area of forest production, and is considering developing even larger plantations. Product diversification is also being planned – there are plans to diversify and produce new models such as sturdier mountain bikes. These will require different types of bamboo and the import of seedlings to cultivate new plants. As the demand for more sustainable products continues to grow, this commitment appears to be paying off – ensuring employment, income, and wider benefits for local communities and the environment.